OK I don’t know if every office has one, or only the lucky ones do, BUT it has to be the best invention of all time. What am I speaking of you may ask? The Snack table of course. With its discreet name it is exactly what the name suggests, a table for snacks. Not just any kind of snacks but the most amazingly Delicious snacks that will ever touch those lips of yours. Why do they taste so good? That’s one of life’s many mysteries. Our office is lucky to have the best cupcake maker in town, we wish there was an office birthday every day, that’s why ours always taste so good! Have I made you just a little jealous? Is it because you’re not allowed treat yourself and indulge in the heavenly taste of what the table will offer you on any given day? Sometimes rules have to be broken and mistakes have to be made. Life is about enjoying the many snacks it offers you, even if they are over half of your calorie intake, that’s only a minor detail. A normal day at the office would include phones buzzing, tapping of laptop keyboards, the chatting of co-workers, and regular office strolls. But there comes a day where the office is filled with snacks, rewards for colleagues perhaps or just time to treat everyone and make them very happy. This may occur every day, but who is really keeping track. Do you fancy a snack table for your office? Well it is quite simply, there could be a spare surface lying around which could be used as the perfect location for you snacks. Keep your eyes peeled for any hidden gems in a central location within your office, that way your attention will be automatically drawn to the table, if the snacks so happen to appear. For any dieters be sure to keep your head down, even looking in the direction can lure you in. Cupcakes, hot-cross buns, toffee cakes, donuts, have all had their moments upon the Snack table, but I can guarantee they are never there for long. If you have great will power, you’ll manage to avoid the alluring nature of the table but if you get weak at the knees at the thought of the glazing on the jam donut or the icing sugar that swirls so perfectly upon a spongy cupcake, your best bet is to turn your back and not listen to munching of your fellow colleagues around you. The best part of the snack table is, they just arrive, nobody sounds a word, and you can almost hear a pin drop at the very moment someone discovers the table full of snacks. And to be sure, the sound of a boiled kettle can almost always be heard in the distance. I’ve decided I want a snack table, everywhere I go…too much to ask?? Culture, does it define us? Culture is the activity we engage in as human beings and the symbolism we associate with our backgrounds, what country we come from and how we act around others are all defining the individual we turn out to be, our beliefs and morals are developed from the culture we are born or raised in. A person can define themselves on the customs and traditions in which they carry out in their day-to-day lives. Culture is almost built into us as it were, but does it define the way we think and the way we live? I can only speak for myself when I say this, I believe a culture define’s the way we act, think and what we believe are correct morals. Our culture’s teach us traditions that have and will be passed on from one generation to the next. However I have my doubts on whether cultures in the Western world especially, will carry on their traditions with the ever-changing, fast paced internet and social networking, the world is becoming smaller and smaller! Cultures and traditions are nearly merging with each other. Cyberculture is taking the world by storm, emerging over the past number of years from computer networks, the internet and social networking. All of these resources can instill other beliefs and morals from neighbouring countries to your own native dwelling. Migration levels have risen immensely over the past number of years, this is certainly contributing to a slight change in our traditions as the majority of us live in multicultural cities. We’re living in a period of rapid globalisation, many global brands like McDonald’s, Coca Cola, and Apple are known right across the world, even in the poorest of countries. I have been lucky enough to live within two other cultures as well as my own culture, I have experienced the Nepalese way of life and currently being based in Scotland I have seen how the Scottish culture is still as strong as what I had known the Scottish culture to be. From my experience each culture has different values, beliefs and morals. My native country of Ireland and Scotland share similar cultural beliefs and values. During my time in Nepal, I was lucky enough to live in an orphanage, learning first hand the customs and traditions that were carried out on a day-to-day basis. This made me think about how different my culture was back home in Ireland. Traditionally Nepal is a religious place with Hinduism and Buddhism practiced there. The kids got together every evening for prayer, which in their culture is each person gathering together in a circle holding hands, singing, clapping, smiling and having fun. Even though they lived in conditions horrifying to people living in the western world, in places like the USA, the UK and across Europe it was their culture that defined the way they lived and made them extremely happy. It really has taught me that culture isn’t all about material goods, try not get wrapped up in the latest technology Apple has produced, or the newest social networking site, take a time out, sit with you family and friends and share your stories from the day through good ‘ole’ traditional word of mouth. Not only will it make you feel better but it will help you revive your own culture, the culture that you were raised in not the culture that has developed around you through technology. After you’ve finished, perhaps write a blog about it, because lets face it, there is no getting away from this cyberculture phenomenon that is only going to go from strength the strength. Just be sure not to lose who you are and where your morals and beliefs have come from. You’ll be a happier person. The Olympic Games are only 95 days away and the Paralympic Games are 128 days away, those of you who are lucky enough to be travelling on one of those many roads that lead to London from the 27th of July, more than likely have tickets, transport and accommodation sorted, right? Well just in case you don’t have your accommodation reserved and you don’t fancy staying in the bustling streets of London, why not book accommodation in Birmingham? The UK’s second largest city is located 119 miles north-west of London city. London is easily accessed from Birmingham by road or rail. Virgin trains will get you to Euston station London in 90 minutes but if you enjoy the relaxing atmosphere on the train and would prefer to stay longer silverlink and central trains will take 150 minutes to get there. There are three main train stations in Birmingham city, New Street Station, Moor Street Station and Snow Hill Station and these will take you to all the main train stations in London. Fares start from £11 if you book in advance. 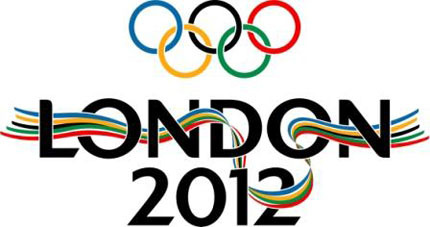 If you have the car and feel like driving down to the city it will take you approximately 2 hours and 17 minutes, however this might not be the best option as traffic is sure to be congested with road closures and police presence on every street corner throughout the Olympic Games. Why not take the bus? A bus will take you from Birmingham coach station and will get you to London Victoria coach station in 2 hours and 30 minutes with fares starting from £10, when you book in advance of course. Taking public transport will more than likely save you more money as the cost of fuel has sky rocketed and a round trip from Birmingham to London will cost you at least £60. Maybe it’s just not worth the hassle? It really is up to each individual’s personal needs. The Spires serviced apartments are located on Commercial Street in Birmingham, a perfect central location close to all local amenities including The Mailbox shopping centre home to over 50 designer stores, restaurants and café bars. The Spires offer you fantastic, stylish and spacious one bedroom apartments or two bedroom apartments which will sleep up to 6 people. These charming apartments will provide you with a home away from home atmosphere where you can cook what you want or order take aways and not worry about cleaning up with a full maid service ready to come in and tackle those dishes what’s not to love about staying at The Spires. Rates are based on the hotel bookings per night and you can stay for a minimum of one night or one year, it’s up to you. The apartments, built in 2007 were recognised by Marketing Birmingham as ‘gold standard’ due to the excellent customer service and first class accommodation. The Spires Birmingham have also received the ‘Very Quiet’ Award from venere.com making these 4 star serviced suites very attractive to its clientele. Can you think of a reason not to stay at The Spires? Check out the video below, you’ll fall for the charming apartments full of space, luxury and comfort. 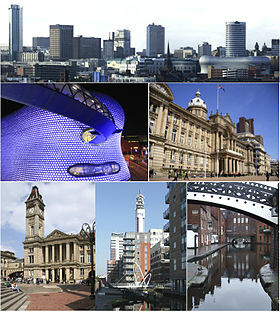 The second most populous UK city after London is Birmingham, located in the west midlands, Birmingham is easily accessible by car, bus, rail, or aeroplane. Birmingham is an industrial city full of style, culture and charm. The city is home to three universities and 450 schools. Birmingham boasts the ownership of 6 million trees, and more parks than any other European city. Bet you didn’t know that. There are lots of things to see and do across Birmingham, so much so I could only fit in a few things. Here’s a broad range of fun things to do and see in Birmingham for the weekend. If your passionate about music, The Symphony Hall, home to Birmingham’s Symphony Orchestra is one not to be missed. It has become known as the “finest concert hall in Europe” due to its perfect acoustics. The award-winning science museum, The think-tank Planetarium, is a digital museum with over 200 science and technology hands on exhibitions from the past, present and future bursting from its four floors. You’re sure to be amazed with everything this museum has to offer and it will certainly provide you with a great day out for all the family. 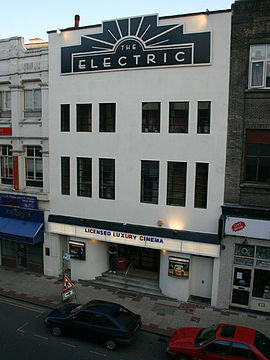 The Electric cinema, is the oldest working cinema in the UK. Opened in 1909 this cinema and sound recording facility showed viewers its first silent film in December of that year. This cinema is a fun and an exciting place to sit back, relax and watch the latest films. It’s not just your ordinary theatre. 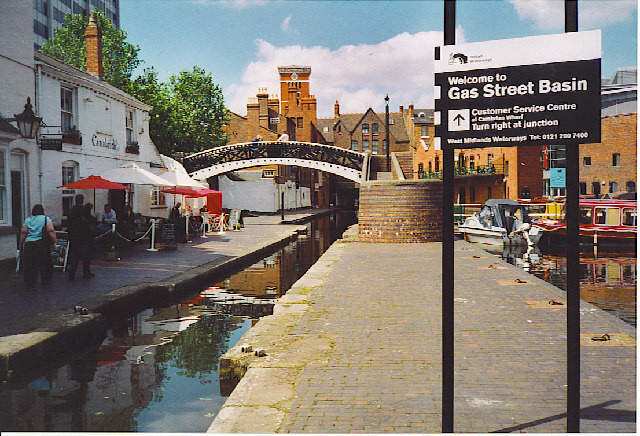 The Gas street basin, is where several canals meet and offers colourful canal boats, bars, café’s and restaurants. A beautiful way to spend your evening soaking up the atmosphere Birmingham has to offer. If the weather is in your favour why not visit Birmingham Botanical Gardens and Glasshouses, which consists of 6 main gardens. The gardens will provide guests with stunning views and exciting demonstrations and events which take place right throughout the year. The 4-star Spires Serviced Suites is located right in the heart of the city, just a short stroll to the prestigious Mailbox, bursting with designer stores, restaurants and café. Birmingham has a fantastic shopping culture, once a market town, it is full of the top high street brand names in the famous Bullring Shopping centre. 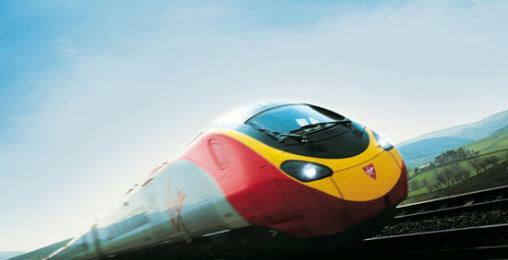 So what are you waiting for, get yourself to Birmingham and explore all that it has to offer you. Business trip, what you need to remember. 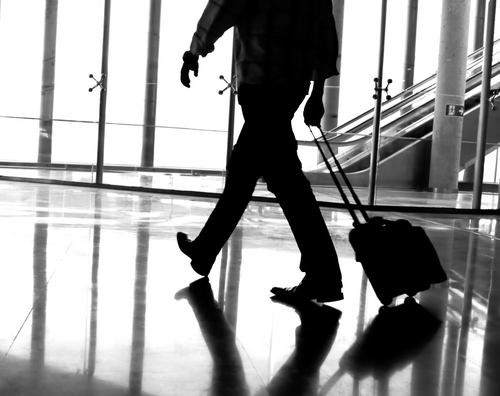 Travelling can be exhausting and the last thing you want to do is to forget something vital for your business trip. So here’s a quick fire list of those valuable things you need to remember for when you’re jetting off to seal the deal in that all important corporate meeting. Before you leave for the airport be sure to pack these substantial documents into your hand luggage. A valid Passport is needed to get out of the airport, even though a small number of airlines will allow you to travel internally with a valid drivers licence however a passport is a safer option. Boarding pass, most airlines allow you to print off your boarding pass before you even arrive at the airport making your waiting times that little bit shorter, especially if you don’t need to check in a bag you can just go straight through security. A valid drivers licence, if you are thinking about renting a car, all car rental companies will need to be supplied with a valid full drivers licence. Visa’s (business/tourist) if applicable. Ensure the information on the forms is correct to avoid any troubles at customs. Only bring the credit cards you will need. Make sure you save any numbers needed in an emergency if your credit cards happen to get lost or stolen. Any prescriptions if you are travelling with medication. To avoid the hassle of trying to explain what the medication is a prescription will validate your reasoning for bringing these onboard. A spare pair of glasses or contact lenses with a prescription in case you run out and need to get a replacement quickly. If you have any specific allergies be sure to bring all the correct medication in case you suffer from a reaction. Medical alert bracelet’s are a great idea and can be bought online and created to your own fashion taste. Ensure your travel and health insurance is all currently up to date especially during the specific times you will be travelling. Air sickness medication and headache medication may be needed. Even the most travelled people can suffer from air sickness, just be on the safe side. All the waiting around in airport lounges can be draining on your body as well as your mind. Be prepared you’ll be a lot less stressed. There’s nothing worse than a laptop or a phone with a low battery and you’ve forgotten your charger or there’s no electricity supply near, so be organised and invest in a portable charger and guarantee that those emails and calls will be made before jumping on board. If technology fails, which it can happen, always be prepared with the very traditional pen and paper. Until you find an electricity outlet jotting down your ideas or important business notes on a piece of paper will ensure you won’t miss out on anything. It may seem like the obvious one but make sure you have accommodation organised. If you have it booked in advance you can rest easy, sit back and enjoy your flight. Try and reserve accommodation that will suit your needs best, there’s a broad range of choices from hotels to serviced apartments you won’t be stuck for options. Now who’s ready for that all important business trip? Don’t forget to pack your best business suit. 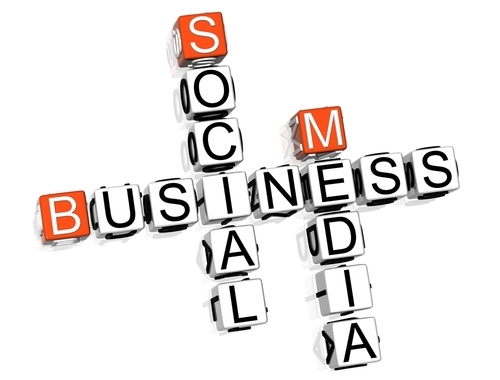 Small businesses use social media to grow. A business in operation in the 21st century, no matter how big or how small it is, no matter what the company deals with, needs to be familiar with social networking sites and keep a constant eye on it and update it regularly. This is due to the constant changing between social media and businesses. Not only does it allow you to get your name out there to the wider audience demographic, but if you approach it in the correct tone suitable to your business, you can reach your target audience and develop a rapport with clients. This can only be of great benefit to your business. Social Networking has been around forever, although it was a lot different and it used to be a lot harder to connect with people, nowadays you simply log onto your computer and register with whichever social networking sites that are of interest to you and your next connection is just a click away. Easy. This can be said for businesses who use social networking to boost their reputation and highlight the fact that they are a part of the market place. Essentially it’s free advertising but you need to keep it regularly updated for it to have any effect. Connect your Twitter and Facebook accounts together and ensure your website has links to all of the social networking sites your business is currently on, this will make it easier for your audience to find you. People don’t want complication in their social networking lives. Blogs are a massive part of any business today, they allow an individual or group within the company to create posts that are of interest to the companies clients or have some relevance to the company. The most engaging blogs interest your readers in a way that is personal to them. A blog must be intangible to be engaging to the viewer, one that has personality shining through will retain your audience. Make them fun and quirky you want to keep your readership high. 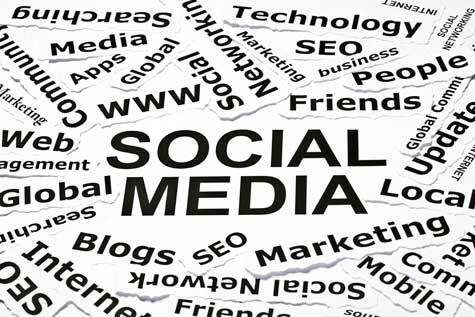 The 2011 Social Media Marketing Industry Report revealed that small business owners are seeing the best results from social media marketing. This is yet again another reason your business should be engulfed into the world that is online social networking. With so many different sites to choose from like the aforementioned Twitter and Facebook, others like Linkedin, Pinterest, Stumble Upon and Blogspot will provide your business with many different outlets to get your information out there, or provide your audience with interesting reads. or blog about interesting things rather than trying to constantly sell your product. Facebook now has 845 million active users across the globe with 50% of the North American population active Facebook members. This is a massive amount of people from various backgrounds with unique interests, so don’t lose focus, you can connect with these people and make your business evolve for the best. If your starting off as a small business especially in today’s economic climate, it is a cheaper way to get your company out there, instead of spending thousands on advertising, social networking allows you to reach your audience at a more personal level for no cost at all. Sweet deal! So get your business ‘linkedin’ and explore a greater world. Glasgow is famously known as the second city of the British Empire. It is the largest city in Scotland and the third most populous in the UK. Glasgow is situated on the River Clyde and is home to a large selection of museums devoted to transport, religion and modern art. 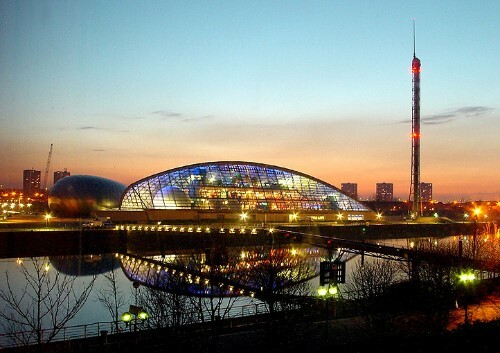 Home to the Scottish National Media, BBC Scotland and STV, Glasgow attracts numerous people to it’s exciting and vibrant life including tourists, corporate travellers and people looking to settle down. You will always find something to keep you occupied in Glasgow. It boasts the largest economy in Scotland and is the hub of the Metropolitan area of West Central Scotland. It’s easy to get to whether you want to take the bus or the train or your flying in from another part of the globe, Glasgow is home to two International airports, Glasgow International and Glasgow Prestwick International Airport. If your visiting Glasgow for a weekend it’s hard to decide what attractions to visit in your short time here but your sure to find something to interest you. Glasgow’s West End is a very popular location in Glasgow and is home to Kelvingrove Park, University of Glasgow, Botanic Gardens, and the Spire of Sir George Gilbert Scott, a major landmark that can be seen across the city. 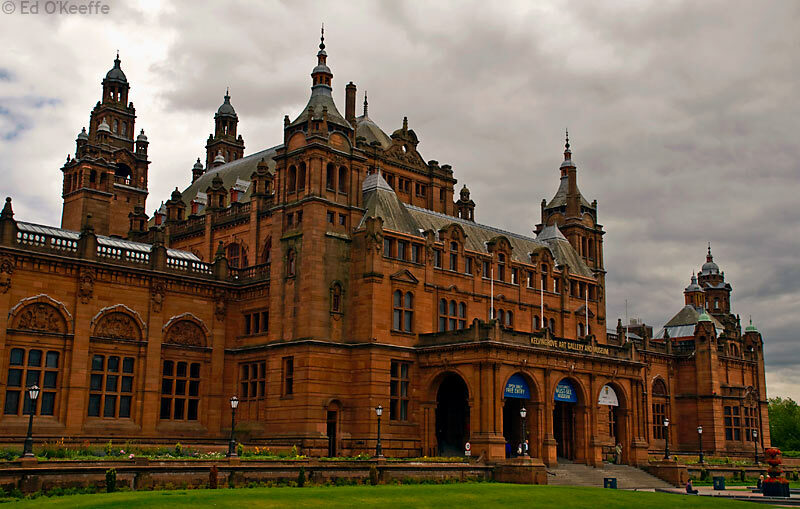 The Kelvingrove Art Gallery and Muesum is located within the West End in the Kelvingrove Park and one art gallery you should not miss out on, it’s a spectacular building with amazing art collections and it is home to the finest collection of arms and armour in the world. If it’s a ladies weekend away the West End of Glasgow is where you should definitely go for a shopping trip, priding itself on its fantastic vintage and retro shops you’ll be sure to find unique and exciting new garments to take back to your friends, who of course will be green with envy. If art is not your thing but your into science and technology, visit Glasgow’s Science Centre. This impressive building tells stories of science in a unique and inspiring way to keep you and the family very intrigued. Get involved in the experiments to make your experience one you won’t forget. The majority of Glasgows student population are based in the West End so this certainly adds to its cultural liveliness. The streets of the West End are bustling with cafés, tea rooms, boutiques, upmarket accommodation, high end restaurants, pubs and clubs. Well worth the trip. 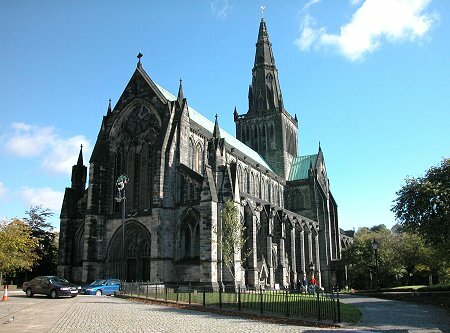 Glasgows Cathedral and Necropolis is an amazing site and one of a kind in the UK. Book a guided walking tour of the 37 acre cemetery full of fantastic architecture and fascinating stories all relating to the 50,000 people who lay there. Glasgow is home to a broad range of religions ranging from Christianity to Jews and Buddhists to Hinduism, which make it a captivating multi-cultural city. For those of you with more of an interest in sports rather than shopping for the day, visit The Scottish Football Muesum. Located at Hampden Park, enjoy the stadium tours, ruffle through the hall of fame and check out the memorabilia in the muesum. Pick up some Scottish merchandise in the shop from your trip so you won’t forget your experience. Festivals are very popular in Glasgow and there is a festival to suit all tastes. The West End Festival, which incorporates music, comedy, theatre and walking tours is Glasgows biggest festival of the calendar year and is in June. The Glasgow International Comedy Festival is held in March, the Glasgow Film Festival is held in February, the International Festival of Visual Art is in April/May, the International Jazz Festival is held in June and the Merchant City Festival is held in July and is a 4 day event which celebrates Glasgow’s cultural quarter. Like I said before you will always find something to do in Glasgow, whether it’s just to chill out for the weekend, shop til you drop, visit a broad range of attractions or enjoy one of our festivals you’ll never have a dull moment. With a broad range of places to stay you won’t be disappointed with any of the hotel’s, B and B’s or hostels. Why not book into a serviced apartment and experience a home away from home. The Spires Suites located on Glassford Street right in the city centre, you can explore the city right from your door step. So go on, visit Glasgow for that weekend away, you won’t be disappointed.